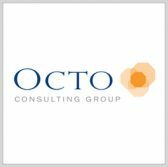 Octo Consulting has won an approximately $75M multiyear contract to support the National Cancer Institute’s Center for Biomedical Informatics and Information Technology, which operates under the National Institutes of Health. Octo will provide IT services and ServiceNow cloud implementation support to the CBIIT to help the institute address its IT needs and further its cancer treatment initiatives, the company said Tuesday. The company secured the contract as a task order awarded through the NIH’s CIO-SP3 Small Business vehicle. Jay Shah, executive vice president of health and commerce at Octo, said the company is thrilled to use its infrastructure, engineering, cyber, and Agile expertise to support CBIIT’s operations. “We look forward to working alongside the NCI in support of its incredibly important mission to understand, diagnose, prevent and treat cancer,” he added. The CBIIT handles the NCI’s IT infrastructure and delivers scientific computing and informatics support to help further the institute’s research efforts.